Ronald Solares is a New Jersey and New York-barred attorney specializing in construction law. Ronald is also well-versed in a number of other legal areas, and most particularly, commercial litigation and personal injury litigation. 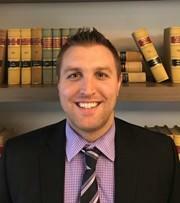 Ronald combines his substantive legal knowledge and unique professional background to provide each of his clients with practical advice and cost-effective results. Ronald attended New York Law School's evening program after working as a paralegal for one year. During law school, Ronald interned at the New York City based firms Sinel and Associates, PLLC, and Cantor, Epstein, & Mazzola, LLP. After graduating from law school, Ronald served as a clerk for the Honorable Joseph V. Isabella, J.S.C., in Hudson County Superior Court. Immediately before joining the Skolnick Legal Group - Ronald practiced law as an Associate at Leanza, Agrapidis, & Marlous, PC., for approximately four years where his practice focused primarily on personal injury and worker's compensation matters. Ronald handled a voluminous caseload ranging from motor vehicle collision cases, slip and fall matters, municipal court matters, and premise liability actions. In addition to obtaining multiple settlements for his clients, Ronald tried numerous cases to verdict. Ronald is an active member of the Hudson County Bar Association.